Very nice location in a cozy district. 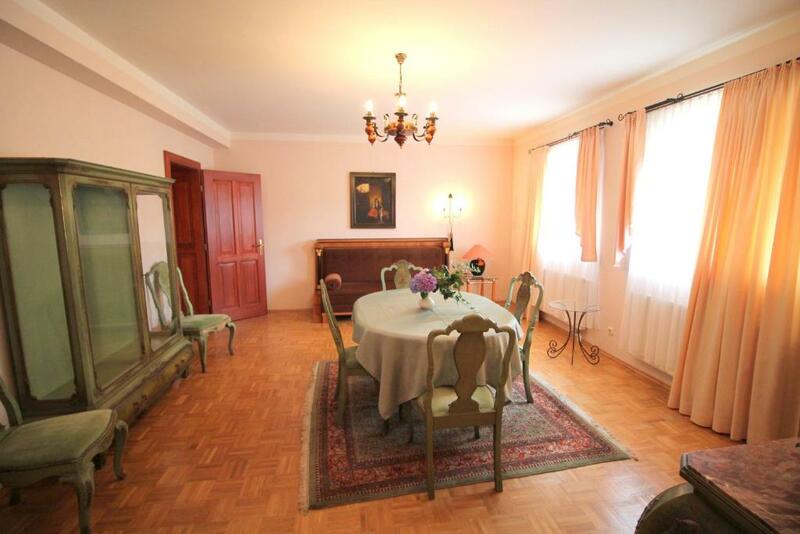 Within walking distance to public transports. Well-equipped facilities. Beautiful setting & great for people who want more than just to stay in the center of town. It was one of the few places in Dresden that was not destroyed in the war. It is an adventure & it is helpful if you can speak some German. The staff are great & could not have been nicer. Even though the guest house is on the outskirts of the city, it is in a very nice area, with mansions and lovely gardens. Transport into the city was simple. The host was helpful with maps and brochures. I didn't like the apartment I originally booked for 2 nights. I got a better one for the same amount of money for one night and moved to another hotel for the second night. Beautifully renovated old villa in a suburban neighbourhood. Stylishly decorated apartment with a fully functional kitchen and sufficient kitchen utensils (Meaning: you can actually cook there, it is not just for show). Modern bathroom. Excellent wifi. The street car will take you to the old town of Dresden in half an hour and the stop is only a five minute walk away. You can buy your ticket there as well. Very convenient. Sufficient parking space (tiled, no gravel). Seating area outside. The lady at the reception does not speak English, just German, which is a bit of a problem sometimes. Also, the reception is not in the same building as the apartments. It is very close, but the instructions how to check in might be clearer. The room was spacious and there is private parking. The kitchenette has everything you need to cook up your breakfast. The hosts were very nice only problem was the communication as they don't speak much English. 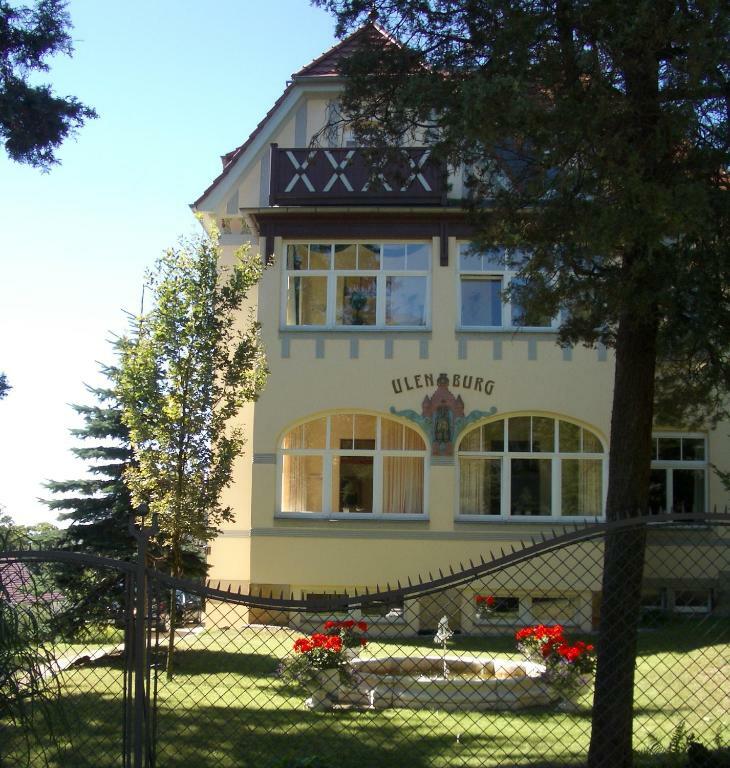 Lock in a great price for Hotel-Appartement-Villa Ulenburg – rated 8.6 by recent guests! 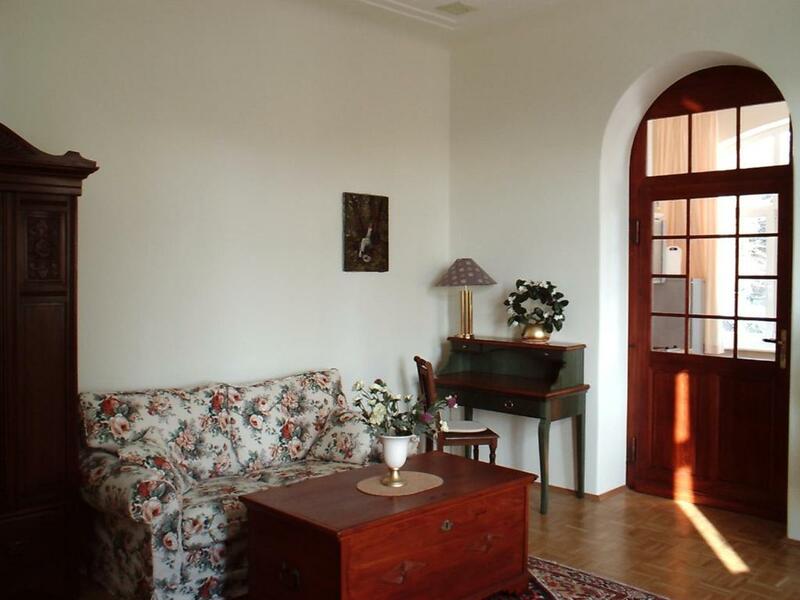 Hotel-Appartement-Villa Ulenburg This rating is a reflection of how the property compares to the industry standard when it comes to price, facilities and services available. It's based on a self-evaluation by the property. Use this rating to help choose your stay! 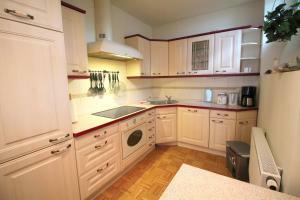 This beautiful hotel apartment-villa, quietly located in the exclusive Weißer Hirsch district of Dresden. Free high-speed WiFi is provided 24 hours a day and a garden with a seating area and grill are also featured. 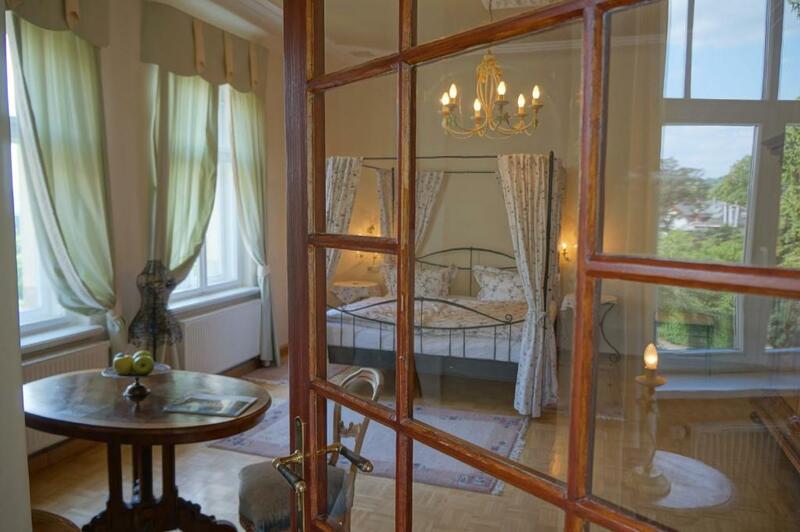 Dating back to 1908, the Hotel-Appartement-Villa Ulenburg provides stylishly furnished apartments and suites on an elevation overlookingthe Elb Valley of Dresden. They include a flat-screen TV and a fully-equipped kitchen. Ranging from between 25 to 83 square yards in size, the apartments and suites are fitted with parquet flooring, high-quality furniture and their own fully equipped kitchen. Some offer a four-poster bed and balcony. 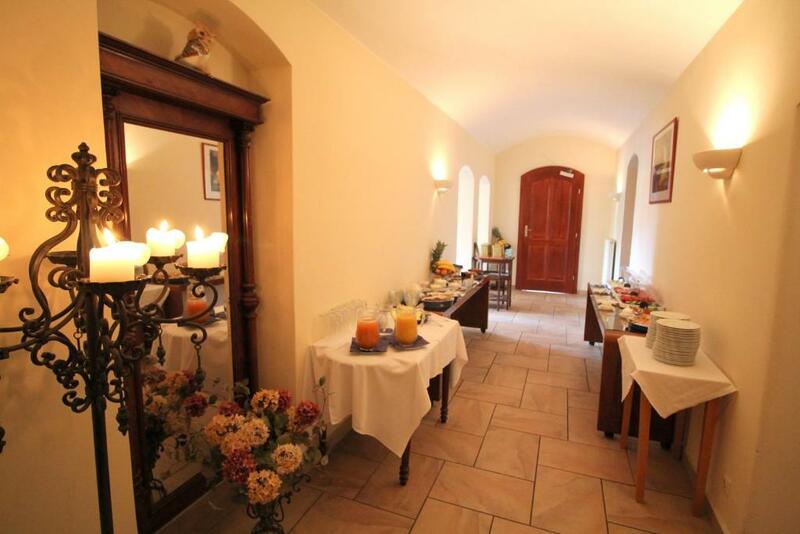 A rich breakfast buffet is served every morning at Hotel-Appartement-Villa Ulenburg. Gluten-free menu options are also available. The Hotel-Appartement-Villa Ulenburg enjoys excellent public transport access. From the nearby bus stop and tram stop you can quickly get to the world-heritage tourist attractions of Dresden’s Old Town.The Baroque quarter of Dresden is a 15-minute drive by car. Guests with cars will appreciate the easy accessibility from the A4 motorway and B6. You can also park free of charge at the hotel. When would you like to stay at Hotel-Appartement-Villa Ulenburg? The well equipped suites offer separate living and sleeping areas and an open kitchen. These apartments feature a separate kitchen and sitting area. These apartments feature an American-style kitchen. This apartment is located in a separate building, 2297 feet away from the Blue Wonder Bridge. The address is: Villa Loschwitz, Loschwitzer Str. 40, 01309 Dresden-Blasewitz. 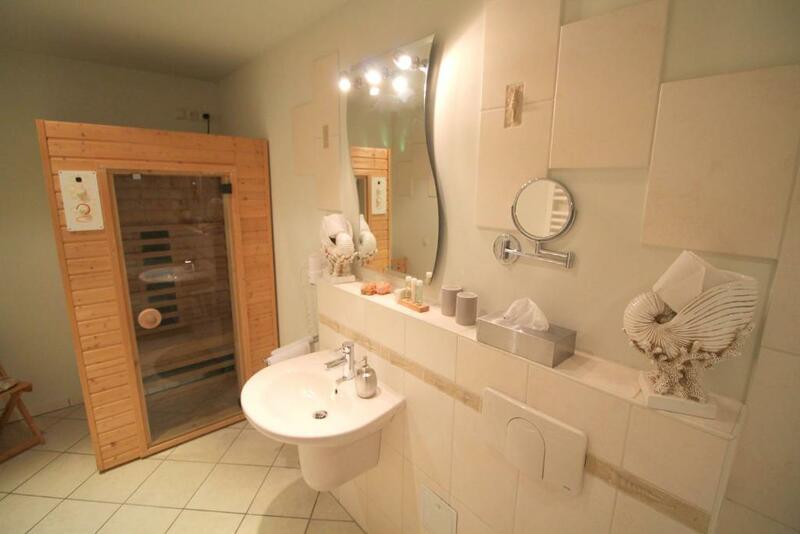 The apartment features 2 bedrooms, a private sauna and a terrace. Free Wi-Fi and a large flat-screen TV are also included. Up to 4 guests may stay here (see Hotel Policies for prices of extra guests). Guests are kindly requested to contact the property in advance to arrange check-in. Contact details can be found on the booking confirmation. Im Nordosten von Dresden - weit weg von Lärm und Hektik der Stadt, liegt über dem Elbtalkessel der Stadtteil Bad Weißer Hirsch. Wegen seiner schönen Lage, der herrlichen Aussicht auf die Elbe und die Stadt , ist der Weiߟe Hirsch ein gern besuchter Erholungsort. Früher ein international bekannter Kurort, ist er auch heute mit seinen Villen, den Elbschlössern, der Kurparkanlage und der Standseilbahn ein lohnendes Ausflugsziel. House Rules Hotel-Appartement-Villa Ulenburg takes special requests – add in the next step! Hotel-Appartement-Villa Ulenburg accepts these cards and reserves the right to temporarily hold an amount prior to arrival. 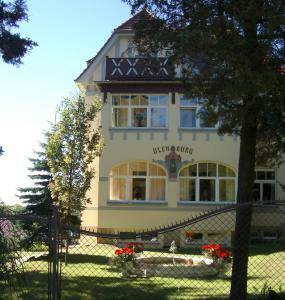 Please note that the reception is located away from the villa, at Oskar-Pletsch-Straße 3. If you intend to arrive later than 18:00, please contact the hotel in advance by telephone. It is possible to pay the hotel by credit card if this has been agreed beforehand. There is no elevator due to the historic staircase. There is a coffee machine but no coffee. It would be nice if they had some coffee available because there was no grocery store nearby. The first room given was quite gloomy and dark. The kitchen also hadn’t been cleaned properly. We asked for a brighter room and were taken to a different property which was much lighter, but very difficult to heat the main room in winter as it only had a tiny heater. We also asked for the kitchen to be cleaned again as there were dirt marks on the coffee machine and in the fridge. The staff were helpful and did ensure it was cleaned. The building is a bit dreary and breakfast is in a basement. The first apartment (studio ) given at very top of villa was cramped , unpleasantly hot and involved carrying luggage up a number of flights of stairs . Alternative apartment provided was excellent. - no tea bags or coffee in kitchenette - no warm dishes for breakfast by default (omelette / sausage). you can order the former, but it takes some time as the staff is occupied with inefficiently replacing food in tiny portions. Don't bother with the optional breakfast. I paid €9 for breakfast, I missed the first day cos I was over tired and had it on the Monday which is at another Villa 200m up the road. (Only on Mondays) Tbh don't go to the other villa on a Monday get something else, I heard from other guests that the breakfast here was better, so everyday except Monday is ok.
Travelled to Dresden by myself, booked late, got a cheap deal, staff were helpful, their English wasn't so good, so we mixed German and English no problems, but one of the staff I met later is more fluent for those who need to speak English, the Villa was lovely, I had a room to myself and I used the kitchen even tho it's small it still does the job. I stayed a second night with no problems, just called in the morning to extend my stay. Excellent parking I enjoyed staying in a quiet area, it's a few kms away from the city centre, but there's buses and trams to make up for it, and lots of shops up the road.